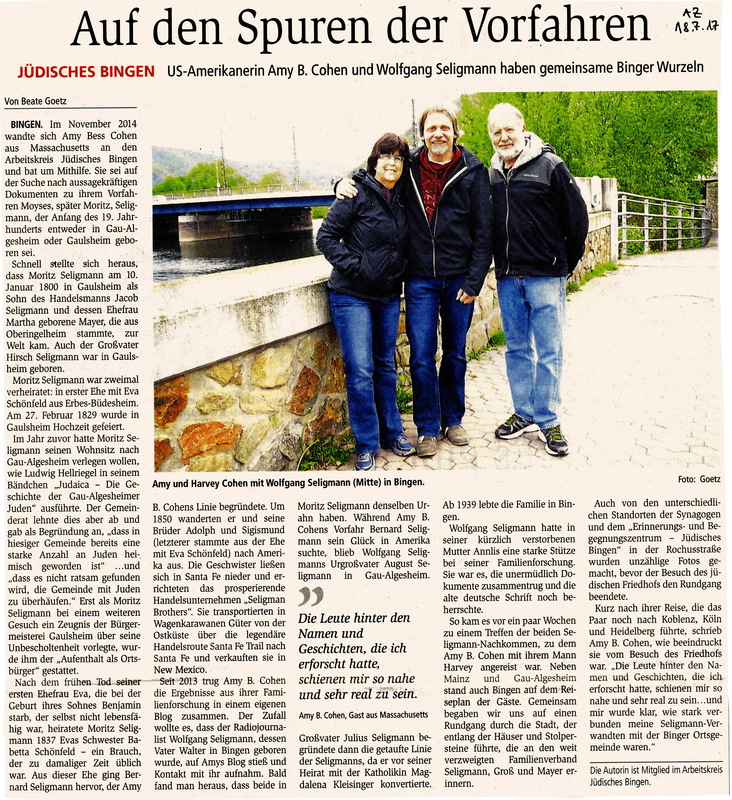 This entry was posted in Bingen, Genealogy, Germany, Germany trip 2017, Seligman/Seligmann, Travel and tagged Bingen, Germany, seligman, Seligmann by Amy. Bookmark the permalink. Nice piece by Beate. They always have room in the newspaper for Auf den Spuren der Vorfahren articles here in Luxembourg. I would guess they are just as popular in Germany. Yes, they all seemed so excited to have us visit. 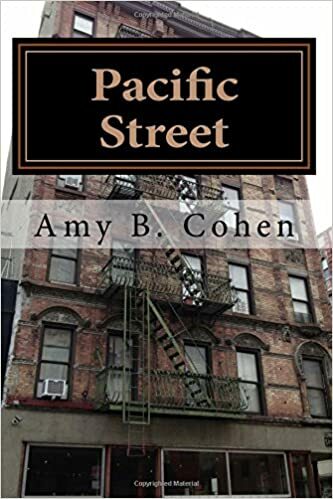 A great read Amy, thanks to your friend Beate. I love the paragraph about how you and cousin Wolfgang found each other. It’s encouraging to others who want to start researching their lineage. It was definitely one of the most important and rewarding days in my genealogy journey. LOL! It sure would have made it easier for me if women had kept their names! What fun, Amy! Perhaps you’ll even find more cousins because they read this article. I am still finding some Seligmann relatives, but not through the article! What an interesting article! Have you written about the Seligman brothers’ business on the Santa Fe trail? Extensively! If you search for “Bernard Seligman” or Santa Fe in the search box, you will find many posts about my pioneering ancestor and his importance to the development of Santa Fe as a trading center out west! Thanks! Definitely piqued my interest! This translation was very easy to ready and understand. Good job by all involved! Wow, Amy, this is so very cool! How lovely that the three of you were brought to together to accomplish so much! What a lovely article. How wonderful to have this additional record of your trip, but also your genealogy journey and the special family connections that have come from it. Thanks, Amberly. It is a wonderful article.